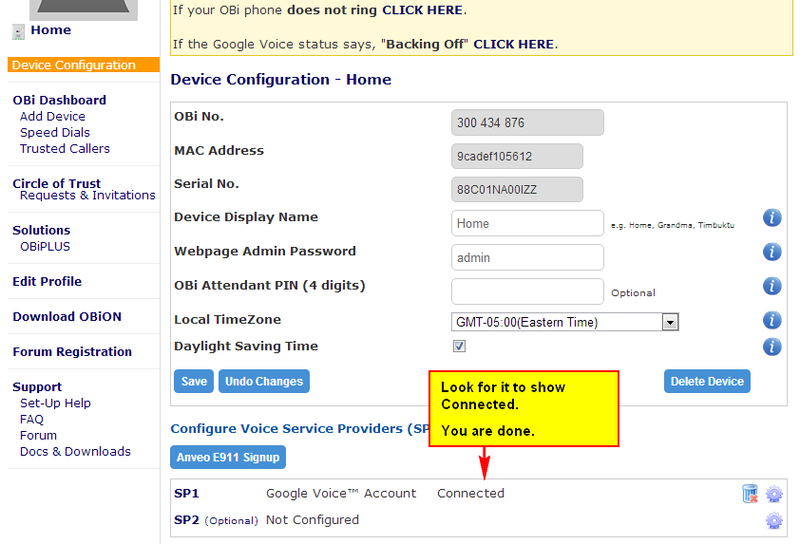 In the past few articles in this series, I have shown you how to get free long distance calling from your cell phone using Google Voice. Those require you to use your cell phone to make the call and unfortunately, your cell phone has to be a smartphone. I recognize that many people don’t have smartphones and some people just like the feel of a traditional cordless or corded phone. In this article, I’ll show you how to set up a second phone line in your home (or adjust your current landline) for a relatively small investment and which will carry no monthly fees. You will also get free unlimited long distance calling to Canada and the US through direct dialing. This is a great device for people who move to foreign countries and want to keep in touch with their families and friends in North America. Google chat has a voice chat feature built into it. We are going to use a device that taps into that Google chat voice service but makes it accessible from a traditional telephone. This new phone line will be completely independent of any existing phone line you have. If, for example, you have a 905 (suburban Toronto) house number, any of the things that I am suggesting you do will in no way affect the line connected to your 905 number. If you don’t have a Google account, the first thing you need to do is set one up. Go to www.google.com and choose SIGN UP. 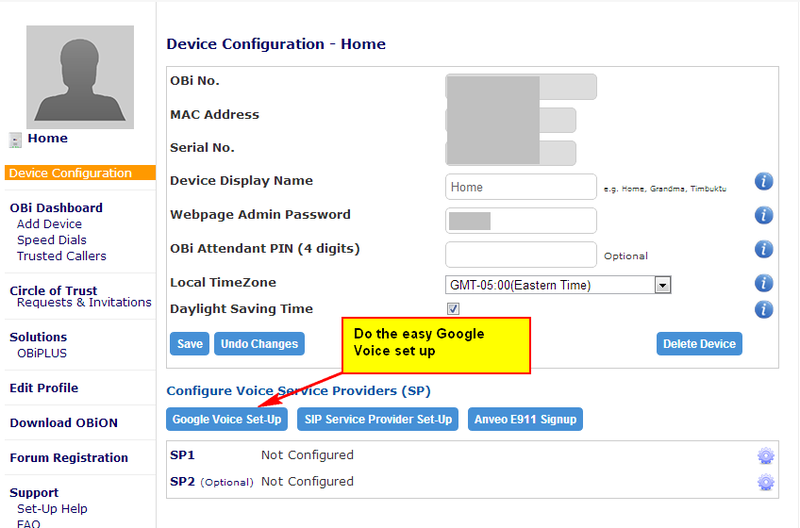 If you have a Google account, then you can decide whether you want to set up Google Voice on it or not. If you do not have Google Voice set up on your account, then the phone line that is set up for you will not be able to accept incoming calls. If you set up Google Voice on this account, then you will be able to choose a telephone number and calls to that number can be answered by this telephone. Since it is easy, free and quick to set up an account, I suggest setting one up and getting the full functionality of your new phone line. The instructions on how to set up an account are here. Pointster’s Pointer -> if you have already set up Google Voice and are having it forward to your cell phone, it might not be a bad idea to set up a totally different number for this line by using a different Google account. I keep the same number for both the traditional line and the cell phone and notice that it is often difficult to answer calls to my cell phone in time. You can play around with the settings to alleviate this but I think it is easy enough to have a different line if that is what you prefer. If you end up setting this up with Google Voice, you will need to go into the settings and have Google Voice forward calls to your chat if you want them to ring on the new phone line we are setting up. 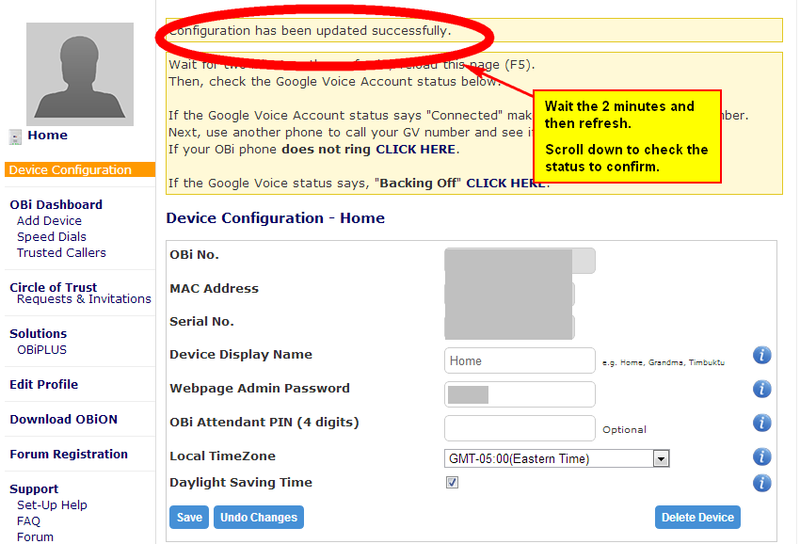 (if you don’t set up Google Voice, you will not be able to receive incoming calls except through Google voice chat). See the screenshots for clarifications of these instructions. 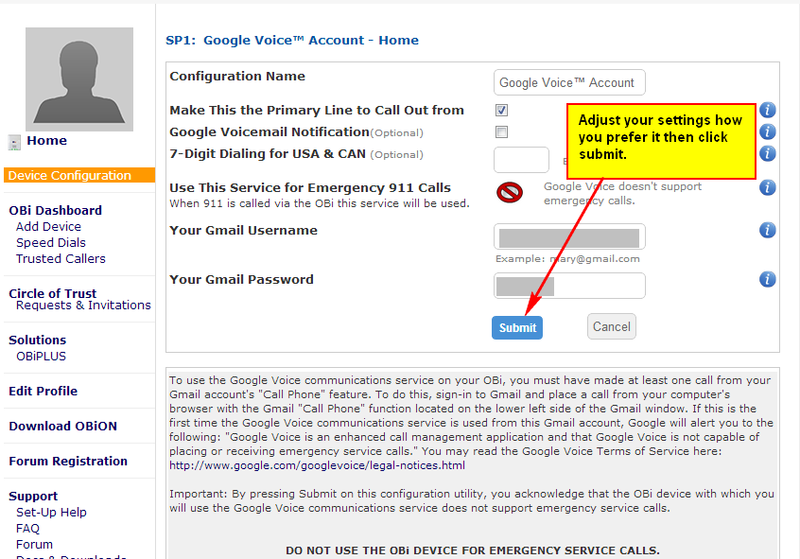 This step requires you have previously set-up a Google Voice phone number at voice.google.com. The Obihai ATA adapters are great inventions. These devices are the key to this whole operation and are designed to turn your voice conversations from the traditional cordless / corded phone into voice chats that Google will transmit for you. 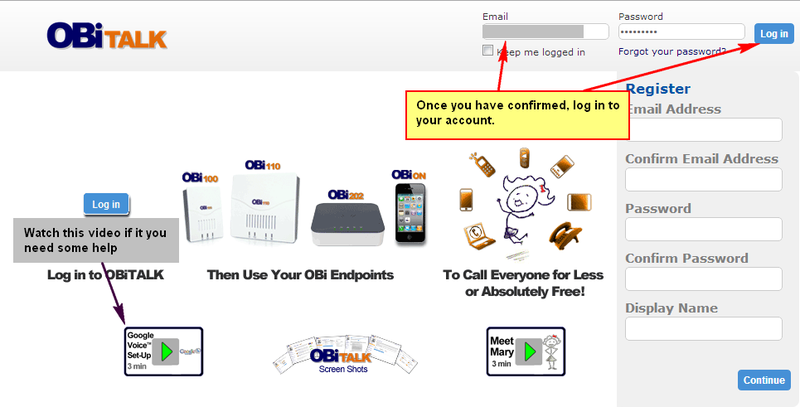 Obihai makes a few different VOIP adapters that can work. Here is a quick comparison of the various devices that they have available. I suggest the Obi100 since it is the simplest one and is the cheapest. If you do intend on using this quite regularly, I suggest getting a cordless phone set that has a single base to plug into the phone line and a few additional handsets that can float. 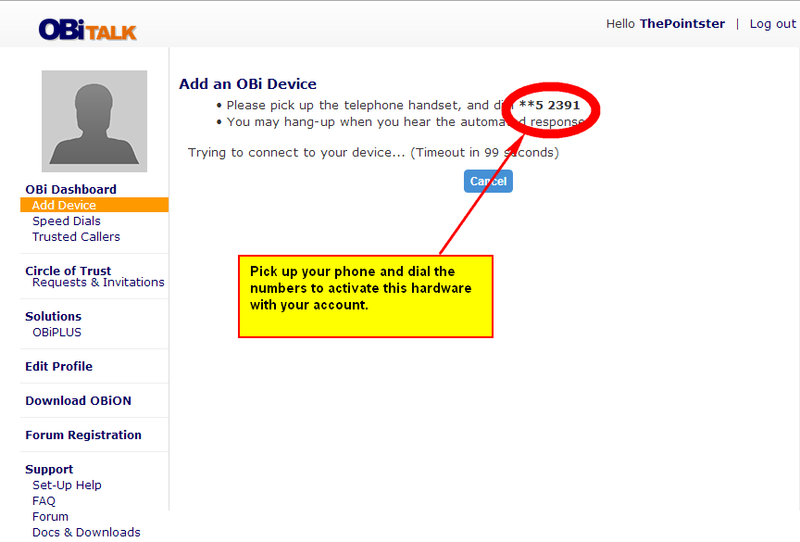 This is because the Obi100 will only give you a single phone jack to plug your telephone into. The Obi110 has some additional flexibility in that it can connect to your wall jacks and assist your landline. I think there is a lot of potential there for someone who is willing to understand how to set everything up. I spent some time trying to figure it out but I was thoroughly confused. I also did not want to have any potential for impacting the 905 house line. For most people, I suggest avoiding any headaches and just getting the simple Obi100 or the Obi110 and dont use the additional flexibility. Screenshots on setting up the OBi. If you are unable to follow my screenshots, you can watch this youtube video. With your phone now connected to your Obi100 and your Obi100 knowing which account to use, you should be able to make your first phone call. If it doesn’t work, then check your setup and your login information again. The phone number of this new phone line will be the Google Voice number that is associated with the account that you have logged in with. Remember this will be a US based telephone number. People who call this number will pay long distance charges associated with calling a US number. Congratulations! You now have a new phone line. 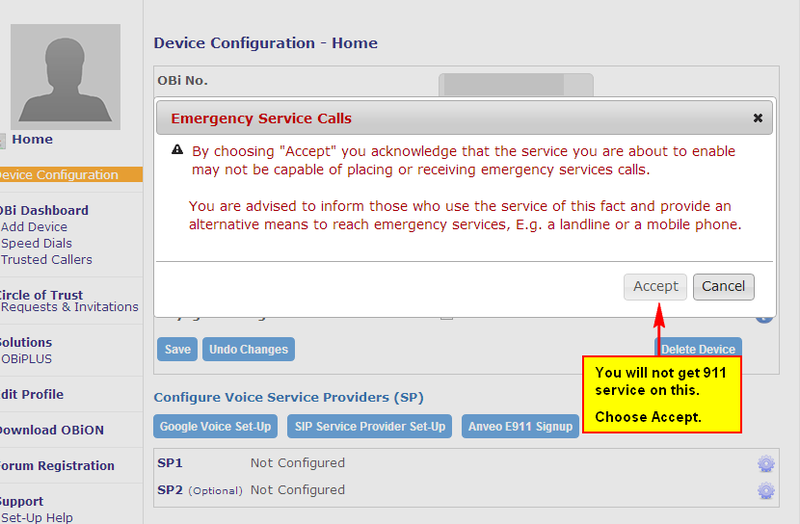 This phone line will not in any way interfere with an existing home phone line you may have. It will, however, use data at a rate of about 1 MB for every 1-2 minutes of talk. If you have a slow connection or a very small cap on your internet allowance, this may cause you overages. Most “high speed” internet connections these days should be fast enough to handle this. As of this writing, I have found this Obi100 available at only a few places in Canada. The prices tend to be considerably higher in Canada than in the US. In Canada, I have found this sell for about CAD$65 from Amazon.ca or about CAD$50 from Canadian sellers at eBay.ca exclusive of shipping. If you have access to a US mailing address and can ship it there, you can order the Obi100 for US$40 at both Amazon.com and Newegg.com. There are free shipping options from both these stores. 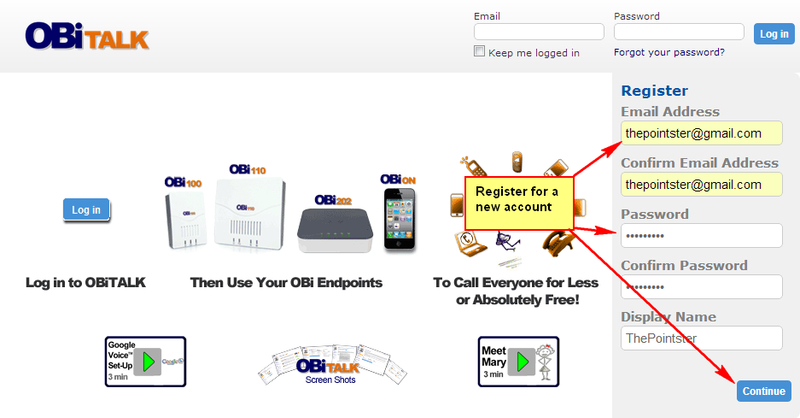 Now go order your Obi100 so you can get the advantages of a free phone line that comes with free long distance. 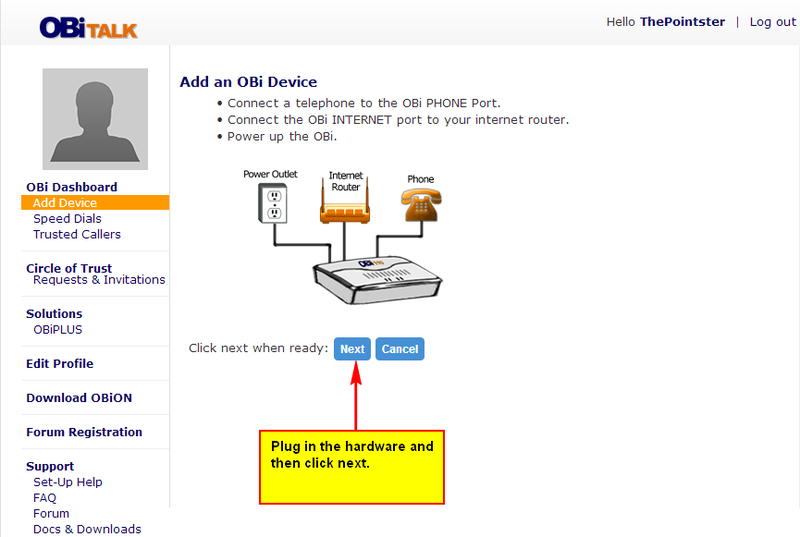 As far as I know, Obi100 and obi110 do not have usb ports, so you can’t use the wifi adapter that they sell. I currently have a Cisco SPA2102 Phone adaptor with router and am wondering if I can use this rather than the Obi adaptor you suggested for setting up with Google. I think this is a little more complicated than the Obi. I found some information in this thread. Don't subscribe All Replies to my comments Notify me of followup comments via e-mail. You can also <a href='https://www.creditwalk.ca/comment-subscriptions/?srp=217&srk=2648578ecea05c83754707575dc5a494&sra=s&srsrc=f'>subscribe</a> without commenting.